In addition to Nantes, the special speed logistics expert has now also added Bordeaux to its schedule, with several daily connections. Some 60 direct flights a week will facilitate faster and more affordable transport to this economically strong metropolitan area in the future, the company says. Bordeaux will now be served by several direct flights each day from/to Frankfurt and Paris. The 50 weekly flights between Paris and Bordeaux will minimise the need for time-consuming and expensive road transport, time:matters says. Numerous companies from various industry sectors, including aerospace, electronics, pharmaceuticals, automotive manufacturing, food and maritime, are located within the region and will benefit from the new routes. There are now seven stations within France connected to the global Sameday Air network – Bordeaux, Nantes, Paris, Lyon, Nice, Marseille and Toulouse. “Our company attaches great importance to growing with its customers,” says Alexander Kohnen, CEO of time:matters Holding. “The local presence of some of our customers in various relevant industrial sectors, including aviation, was an important factor in our decision to open the station,” he says. The network expansion means reduced handling times for customers shipping goods weighing up to 200 kg based on standardised pricing logic. 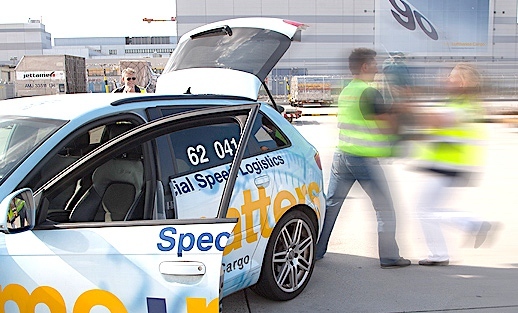 The direct apron access at the hubs, combined with physical monitoring of all import, export and transit shipments, ensures speed and flexibility as well as quality, time:matters says. Looking at the global picture, more than 100 Sameday Air stations in Europe and Israel, 15 stations in the US and one station in Mexico as well as 21 partner airlines can now be combined with Bordeaux in the Sameday Air network. Shipments can also be picked up and delivered on request, and customs formalities can even be taken care of outside of normal opening hours. Customers can use the time:matters online booking portal to book and track their own shipments or contact customer service at any time, 24/7 to get expert advice. In addition to Nantes, the special speed logistics expert has now also added Bordeaux to its schedule, with several daily connections.